Most of our team has worked together for many years; we’re not just coworkers, we’re friends and feel like members of an extended family. The connections we have with each other extend to each of our patients. In fact, we don’t think of our patients as “patients,” rather we see each person as the remarkable individual they are, and strive to build lasting relationships with them. 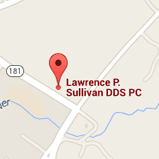 We understand that your dental needs and concerns are as unique as you. That’s why we listen and encourage you to be candid with us if you have dental anxiety or if something else is on your mind. It’s important to us that you feel comfortable, safe, and relaxed during your visits. With open communication, we’ll make that happen. Carol is our receptionist. She’ll greet you when you arrive, with a warm and welcoming smile. She’s been with us for more than 20 years, and knows everyone, along with their family members, by name. Jane, our second receptionist, was a patient here for about 20 years, and loved our office so much she came to work with us! Arlene, Kathy, and Kelly, are our assistants. Each has been part of the practice for more than 20 years, and they’re all Certified Dental Assistants and Certified Orthodontic Assistants. These ladies work chairside, helping Dr. Sullivan during treatments, and supporting you in the process. Angela is our dental hygienist. She’s been part of our dental family for about 10 years. In addition to cleaning teeth and preventing oral health issues, Angela provides a lot of dental hygiene education. She loves helping people understand the connection between a healthy mouth and body, and helping each person understand their unique oral hygiene concerns. Then she works with the person to find the care routines, along with habit and diet changes, that will improve the health of their mouth and smile. All of us love what we do. It’s a pleasure to spend our days helping people we care about develop and maintain optimal dental health and smiles. We’d love to do the same for you!